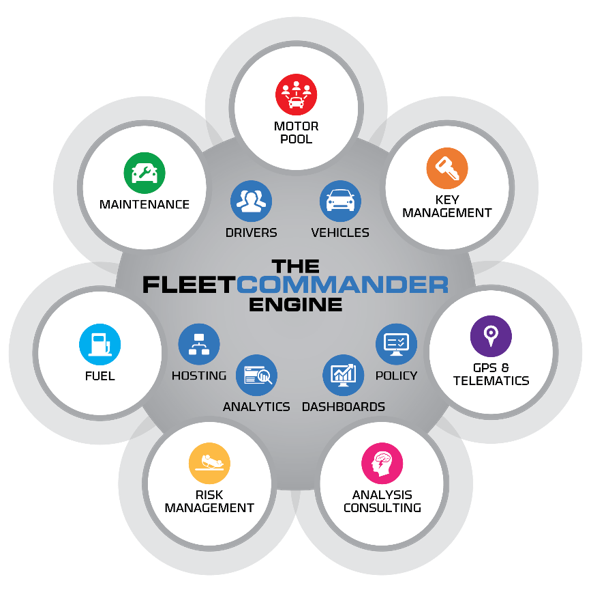 Agile Fleet’s core product – the FleetCommander Engine - helps you manage all your fleet drivers and vehicles online. Featuring robust and secure hosting, our core product offers fleet reports and dashboards that provide you with essential fleet data at the touch of a button. Fleet policy is automatically communicated and enforced, enabling your fleet to run smoothly and efficiently. The core FleetCommander Engine is included with all of our optional modules. Choose one, all, or any combination of modules for a solution customized to meet the unique needs of your fleet. If you have other systems in place, rest assured we smoothly integrate with 100s of systems. Agile Fleet experts have worked with hundreds of fleets to analyze their potential ROI, understand their fleet metrics, identify opportunities for fleet automation and savings, and much more. If you are having challenges managing your fleet, we encourage you to reach out to our experts. Most likely we’ve worked with an organization like yours to address similar challenges, and we can connect you with peers as well. Request more information here.